The Cleveland Cavaliers are making what moves they can to try and stop the bleeding, trading for J.R. Smith and Iman Shumpert of the New York Knicks while sending Dion Waiters to the Oklahoma City Thunder in hope that when LeBron James gets back from his injury, he’ll have a team he’s happy to play with. As expected, the move didn’t go through with James’ approval. That’s how strong he is in Cleveland right now, acting as something of a general manager while also trying to win a championship with the team. David Blatt? He’s taking up all of the heat because the media hasn’t turned on James, not yet. For now, it’s all about how this team isn’t deep enough and defends poorly, leaving James’ part in the mess out of it. Their recent loss to the Philadelphia 76ers is kind of hitting rock bottom – the Sixers have now won just five games this season, but when the team is made up of Kevin Love and Tristan Thompson next to Mike Miller, Joe Harris and Matthew Dellavedova in the lineup, you can’t expect miracles to happen. The additions of J.R. Smith and Iman Shumpert certainly put on even more pressure on Blatt, even through they don’t address the problem the Cavaliers have under the basket since Anderson Varejao went down with a season ending injury. So what went down? The Cavaliers got Smith who is making $5.9 million this season and has a player option worth $6.4 million for next season, and is going to help out with the scoring, coming instead of Waiters. He’s averaging 10.9 points on 40.2% from the field this season, but playing only 25.8 minutes a night. Efficiency was never his thing, and the Knicks, let’s be frank, were happy to get rid of him. James had to sign off on playing with Smith . 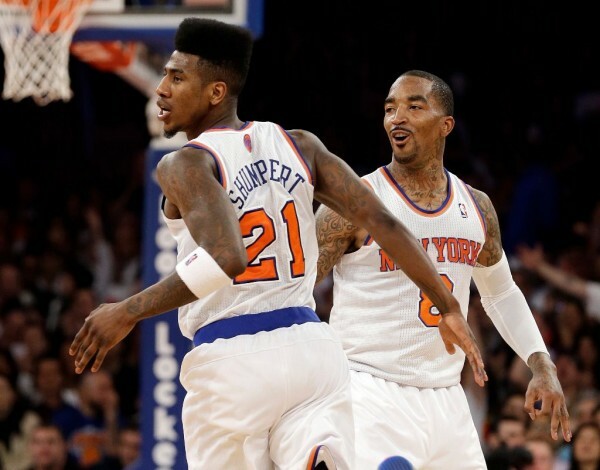 Shumpert is putting up similar numbers – 9.3 points on 40.9% from the field, playing 26 minutes a night. He’s on the last season of his rookie deal, making $2.6 million this season. His arrival isn’t for his scoring, but more for his wing defense, something that the Cavaliers need desperately and immediately. Like Smith, the Knicks have been trying to trade him for a very long time, although there was always hope he’d turn into something more. What? Not quite sure. 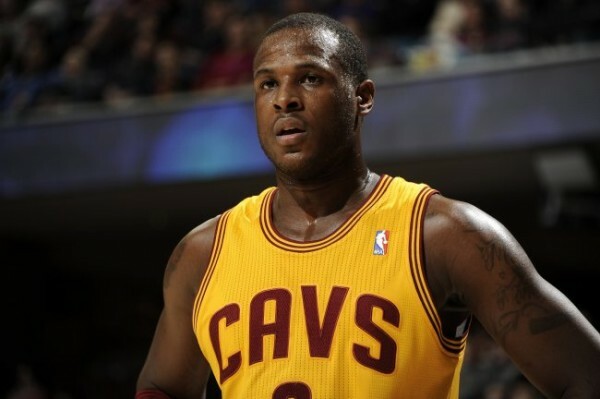 Waiters is probably happy to be leaving the Cavaliers, although going to the Oklahoma City Thudner doesn’t promise him more minutes or touches on the ball. He remains a shooting guard that needs the ball in his hands to do well. Averaging just over 10 points per game and never looking too happy about playing behind Irving, James and Love, getting benched early on in the process of this team being built and not exactly coming together. Right now it’s a mess and the Cavaliers used their last trading chip to try and get better right away. When James and Irving get back from their injuries, we’ll get a sense of what this trade did to this team. Smith doesn’t usually follow any code or tune other than his own. Shumpert is an enigma, still after more than three seasons in the league. They bring something more than Waiters did, but it can head South for the Cavaliers very quickly if this move doesn’t work out. There are other players involved in this trade: Alex Kirk, Lou Amundson and Lance Thomas going to the New York Knicks, but they’re all one big salary dump with non guaranteed contracts. The Cavaliers also get a protected first round draft pick from the Thunder (outside the top 18 in 2015, outside the top 15 in 2016 and 2017; otherwise it turns into two second round picks).